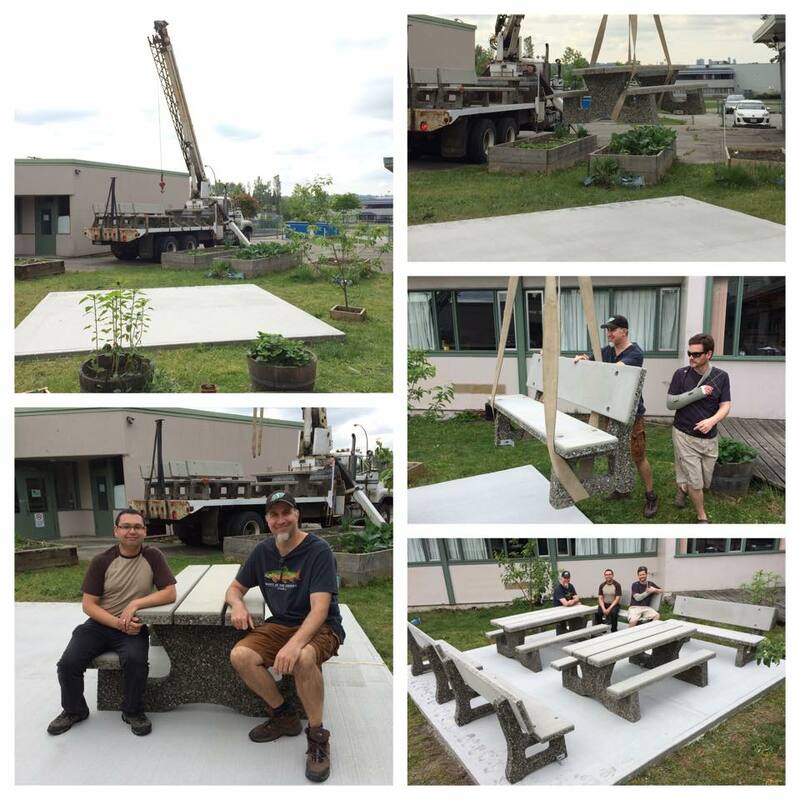 We have finally have something concrete to show from the money we revived from Spirit of Coquitlam last year–we have put in our concrete picnic tables and benches! This is very exciting because we have been wanting a place to sit in the garden ever since it was built. They were put in the the middle of the garden, and are a great place to sit and soak up the sun! 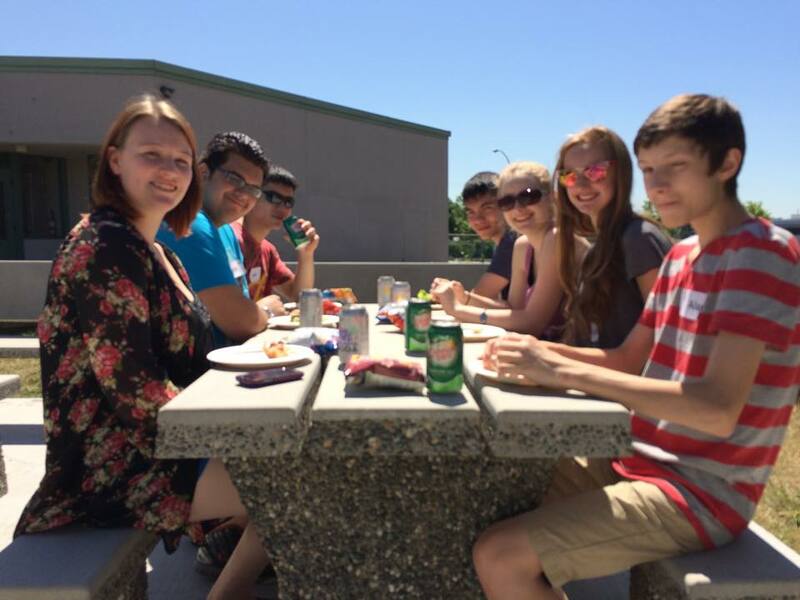 Students can now work, eat their lunch, or just hang out outside. 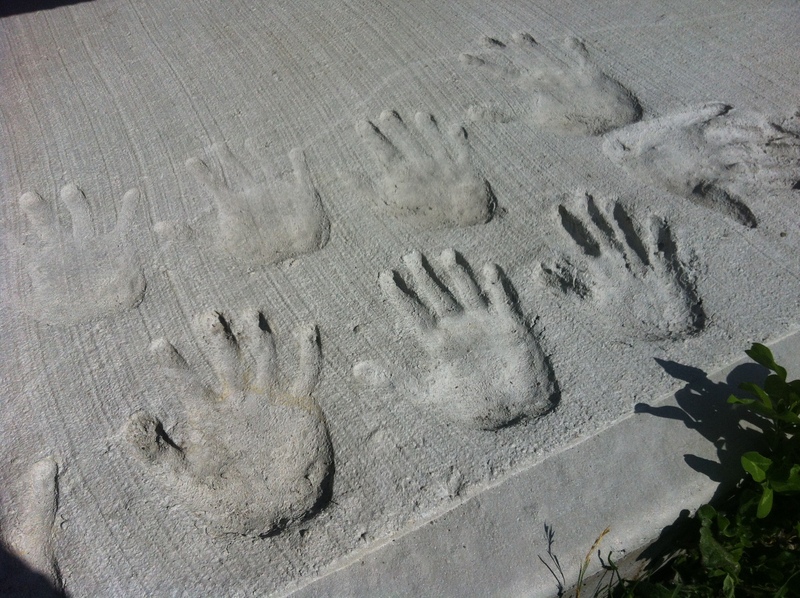 Everyone at iHub placed their handprints into the setting concrete. 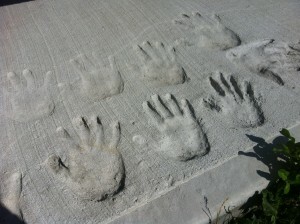 We are very excited about being able to spend more time outside, and enjoy the garden space. 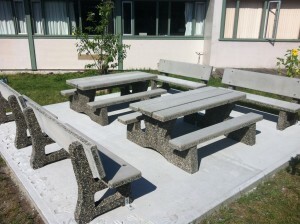 We are also hoping that in the near future this space can be used as an outdoor classroom.